Joda has been guiding and teaching mountain courses since 2008. He has spent significant time guiding in the Himalaya, Alaska, the Andes, and throughout the Cascades, Rockies, and the Southwest. He has served as Program Coordinator and Operations Manager throughout the industry and continues to involve himself in the direction of the guiding profession. 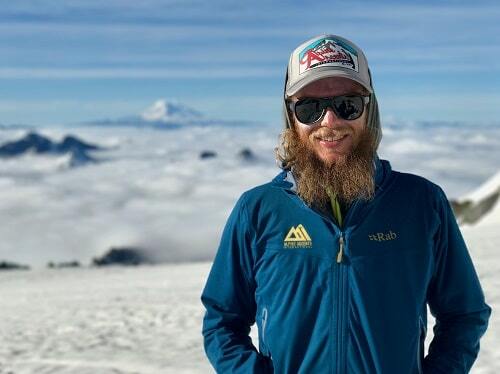 Growing up climbing the Sandstone boulders in Tennessee, rock climbing became his path to mountaineering and Joda currently spends the majority of his time playing and working in alpine terrain. What draws him most to the mountains is the remoteness, the ever-changing environments and technical ability needed to safely assess and move through them. He values the physical and emotional challenges that the wilderness provides, and enjoys sharing the cultural story of the people and places that he travels. When not working abroad, Joda makes his home in western Colorado where he seeks out river days with his family, bluegrass tunes, and great skiing. He is the owner of Rifle Climbing Guides and supports experiential learning to youth through his non-profit, The Alpine Edge. Yes I enjoyed this expedition very much! The backdrop of Denali National Park is amazing. The program was well organized and scheduled to optimize the chance of success for a summit which we did. The food was phenomenal despite the austere environment.